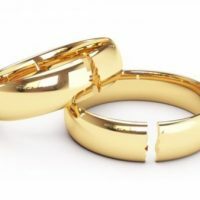 A marriage breakdown is by far one of the most difficult and frustrating times in a person’s life. 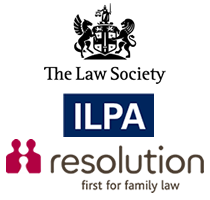 As well as having to deal with the emotional strain caused by the breakdown of a marriage individuals also have to deal with the stress of divorce proceedings. Here at Advantage Solicitors our family team is trained to deal with divorce proceedings. Our aim is to ensure that your divorce starts and finishes as quickly as possible, we keep your costs as low as possible and try to ensure that your divorce is amicable. The divorce process starts by us or your spouse’s Solicitor drafting a divorce petition. If we draft the divorce petition we need your original or a certified copy of your marriage certificate. Once the divorce petition is completed we will send a draft version to your spouse. We will give your spouse seven to ten days to respond and if we do not receive a response the next step is to send the papers to the court. Once the court receives the papers they will send a copy to your spouse together with an Acknowledgement form to complete. If you are the Respondent and we are representing you then we will go through the divorce petition with you and the Acknowledgment form. The Respondent has fourteen days to send the Acknowledgment form back to the court. Once the court receives it they will send a copy of it to us. Once we receive the Acknowledgment form the next step is to apply for the Decree Nisi. To do this we must complete a statement in support of the divorce, this is a standard document. We will also need to attach a copy of the Acknowledgement of Service Form to the statement. A Judge at the court will consider the content of the Petition, the Acknowledgement and the Statement and assuming the papers are in order the Judge will give us a date when the Decree Nisi will be read out in court. This date will usually be two to three weeks later. There is no need for either you or your spouse to attend court. Once the Decree Nisi is read out we will receive confirmation of this in the post. This is the last step in the divorce process. We can apply for the Decree Absolute six weeks and one day after the Decree Nisi is pronounced. 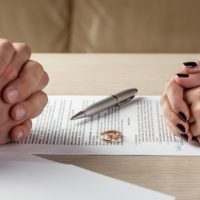 It is usually however a good idea to first reach an agreement on the division on the marital finances before applying to the court for the Decree Absolute. This is to protect your position with respect to inheritance and any possible pension orders. We can advise you further in this respect. When you do receive the Decree Absolute from the court you are then divorced.